But it kind of looks like Mario Kart to me. 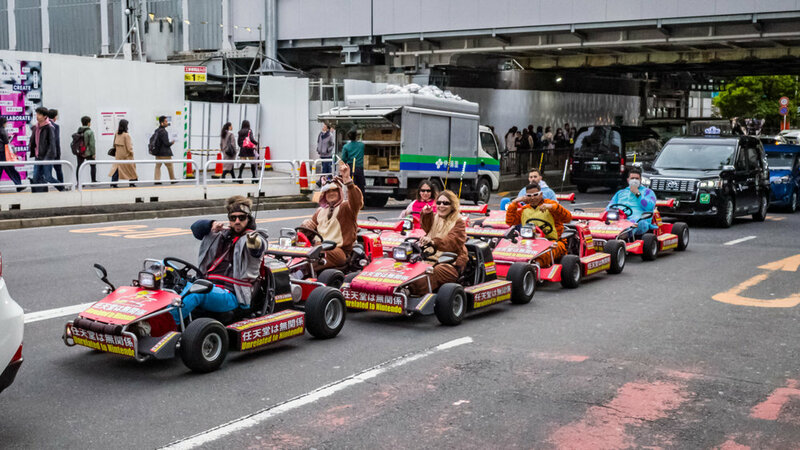 If there is one thing you need to know about these karts is that they are loved by tourists and (apparently) hated by locals. As for myself … no comment lol. Anyway, this bunch of very friendly people were photographed near Shibuya Crossing.